Collaborative Leadership Style is about working together and adding value and synergy to the team. In other words, collaborative leaders style is about completing one another not competing with one another. Great challenges require great teamwork - teamwork build around collaboration. Collaboration is more than working together as a team. It involves bringing something to the team that adds value and synergy to the team. Collaboration is more than cooperation. Collaboration is more about what each member can bring to the team than what each individual member can get out of the team. Collaboration is about completing one another not competing with one another. A team build around collaboration will achieve great things together. When it comes to the collaborative leadership style, there are four areas that team players need to keep in mind. Team members need to see each other as collaborators not competitors. When you put people together, there will always be potential for competition. Most people have goals and dreams and to reach those goals and dream they must achieve. We live in a competitive environment. Collaborative leadership style is not about competition but about completion. Collaborative team members add value and synergy to the team. The do not allow competition between team members to get to the point where it hurts the team. Collaborative team members are supportive of each other not suspicious. When team members look out for their own interests, naturally they are suspicious of everyone. However, when you become a supportive team member, you will no longer compete with your team members but you will complete them. You will work together and add value and synergy to the team. It really is a matter of attitude. It an attitude that assumes each team member is supportive unless proven otherwise. This kind of attitude promotes collaborative teamwork. Collaborative team members focus on the team not on themselves. It really comes down to two questions: What's in it for me? or What can I add to the team? If your focus is on "What's in it for me? ", then you will most probably compete with your team members. 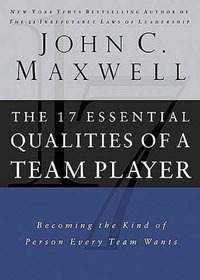 If your focus is on "What can I add to the team? ", then you will complete your team members and be a supportive team player. Collaborative team players create victories through multiplication. When you work together with your team members, you can do great things. When you work alone, you leave many victories on the shelf. Collaboration has a multiplying effect on everything you put into practice because it not only involves you exercising your skills but also those of everyone on the team. For more information about this subject, click on collaborative leadership style.